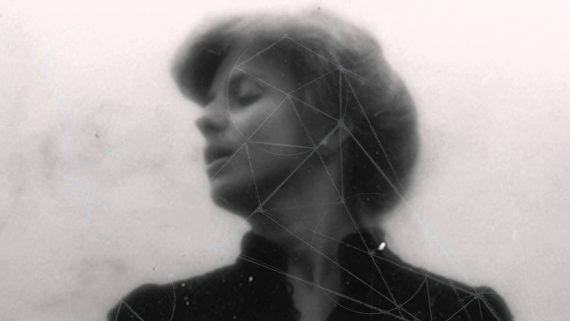 Electronic composer Joanna Brouk takes very little credit for the trailblazing sound poetry she recorded in the 1970s and ’80s. It flowed through her she says, unbothered by the metaphysical connotations such a statement implies. She didn’t write it so much as transcribe it, pulling melodies from single repeated notes and from the spaces between them. “If you want to know where my music came from, it was silence,” Brouk says over the phone from her place in San Diego, synthesizer drones buzzing faintly in the background. Her remarkable recordings can be heard on Numero Group’s Hearing Music, a double LP set assembled by producer Douglas Mcgowan (best known for Light in the Attic’s New Age compilation I Am the Center, which features Brouk’s “Lifting Off”). From her gong and synth meditation “The Creative” to her collaborations with flautist Maggi Payne, to the droning “Diving Deeper, Remembering Love,” Brouk’s music resonates with a deep, spiritual grace. 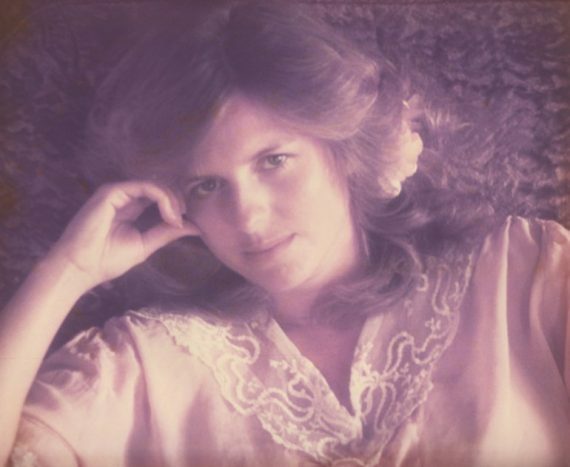 Her experimentalism aligned with minimalists like Philip Glass and Steve Reich, but her explorative, cosmic leanings earned her self-released cassettes a passionate New Age audience. Brouk hasn’t recorded in some time. She’s at peace with it, she says; she’s simply not “hearing” the music the way she once did. She went on to a career in writing and radio production, though in some ways, her empathic, gentle approach extends to all these creative endeavors. She explained all this and more, in the longform conversation with Aquarium Drunkard which follows. It has been edited and condensed for clarity. Aquarium Drunkard: You began your academic career as a writer, studying literature at Berkeley. How did you make the transition into sound work? I had an anthropology teacher who showed us a film of a healing ceremony in Southeast Asia. This woman was very depressed…she’d lost her child and you could just see when she walked in she was almost catatonic. They chanted over her and this went on for a very long time. Eventually, she started getting into it — her head going back and forth, then she started dancing, started shaking, laughing. It was such a transformation, so I began to be fascinated with the whole concept of sound in poetry, which led me to a wonderful book called Technicians of the Sacred. Josephine Miles, the poet laureate of California, was one of my teachers at Berkeley and in those days you could create your own major if you had a sponsor. I went to her and said, “I’m really interested in the connection between sound and poetry.” Berkley had a very little synthesizer studio but [nearby school] Mills had a big one; I told her I’d like to go up there and work, tape sounds and see what happens. So Josephine said, “Yes, I’ll sponsor you.” Two phone calls later I was in. The head of the department Bill Maraldo said, “Boy, someone called me and you’re in.” I didn’t know she had that kind of pull, but I was very grateful. That began my experimental sessions at Mills. AD: What was your early approach like? Joanna Brouk: I wasn’t interested in anything but playing with sound. My first works were just sound pieces. I’d repeat a phrase, like “turning, curving,” which is one I discussed in my interview with Charles Amirkhanian [host of KPFA’s avant-garde radio program Ode to Gravity]. I was watching a leaf turn on its branch in the wind, and I just repeated that, getting into the rhythm of sound and form. [It ties into] Sanskrit, the very early languages, where name and sound are so close, and even Biblical [language]: “In the beginning is the Word, and the Word was with God and the Word is God and all things were made through the Word.” That’s all about sound, all about mantra, vibration. At the same time, I was fascinated by what I was hearing about in unified field theory, about vibrations coming out of the vacuum of silence. For lack of a better word, vibrations coming out of “nothing.” These waves were the first impulses of life in the vacuum state. All that was triggering me into exploring this silence beneath all sound, the underlying silence. AD: There were minimalist composers experimenting with repetition and repeated phrases and patterns, people like Steve Reich, Terry Riley and Lamonte Young. Did you see yourself as drawing from the same traditions as them? Joanna Brouk: I was too embarrassed to call myself a composer. I didn’t study like Steve Reich or any of these people. I was just loving it, [experiencing] the joy of hearing music and making it from the simplest things: hitting sticks together, or rocks, or a gong. Outside of the studio at Mills I recorded crickets, and I’d slow the recordings down, dropping them an octave and another octave, and it became like the drone of a Tibetan monk. I met an Indian yogi at the time who told me, “Yes, those are universal sounds.” Crickets, frogs, bees…they shared a drone and I was just fascinated. I remember walking into the studio and someone had left a big gong there. I hit it and went “whoa” — you can hear this on “The Creative” — and it was so tempting, as it is for most musicians, to hit it faster. But I said no, you have to slow down and listen to the silence, the overtones between the notes and the pattern rising. It’s the space between the notes where things started happening. So many virtuosos want to play fast to show their technique. But you should slow it down! Slow it down to almost an Erik Satie thing. How slow can you play it? How slow can you chant it? That’s how I learned music. I listened between the notes. I’d hear an arpeggio rise, maybe a melody. It was just bliss; I was so into it. AD: How did working with synthesizers help you achieve what you were after? Joanna Brouk: A lot of my composing was done in the studio, overlaying things, one on top of the other. Slowing things down, hearing a melody and going to the synthesizer to create it. Synthesizers can mathematically create any sound, hypothetically, so you could do a flute or a horn or a piano, all of that. That was just like wow, a candy store to a kid. It was so much fun. For the longest time I was just doing it for myself. I began to tape it, but even then I was so shy. You know how you have to get a good level? I didn’t even want to see a level on the tape deck, so I played so quietly, which got me into trouble later because there’s so much ambient sound and white noise butting in [on the recordings]. There was so much silence in my music, real gaps, and in fact with “Healing Music,” when I actually turned it into a piece I wanted to sell, I had to take off the first part, because it’s literally me hitting F# for three minutes, listening for what came next. Hang in there, I thought. Don’t push it. Just play it; put the sustain pedal down and listen to the overtone. AD: You spoke about recording nature and how you arrived at an understanding of the underlying drone, which author Ryan Boyle writes about in the liner notes of Hearing Music. It must have been a pretty profound recognition for you. Were you trying to tap into that with your own music? Joanna Brouk: Honest to goodness, after a while I began to try and get away from it. Yet, I kept coming back to it. After I got my masters at Mills, I began teaching and one of the things I loved to do was watch students use the synthesizer for the first time. I was always interested to see what they came up with, see what note they first went to. I’m drawn to that moment when you hear something and go, “Oh yes, that’s the note, that’s my note, that’s my sound, that’s me.” So on one level, the drone is very resonate with me, it’s my sound. When I learned to meditate, I remember thinking, “What mantra are they going to give me?” I’d heard such glorious sounds in my head and in my music, and sure enough I was given that sound. I don’t know how to describe it. I don’t know if I was intentionally going there, it just came up a lot. I don’t know if it’s a feminine thing, but in India, there’s always a tambura player playing in the background of a raga. The tambura is a four-string instrument which repeats and repeats. A woman always plays that, so that may be something very ancient which I stumbled onto. AD: You quickly recognized your music had a medicinal or healing quality. How did you come to the idea that your music could serve that purpose in people’s lives? Joanna Brouk: I go back to that woman I saw healed through sound. I knew sound could do that, that sound was maybe the most powerful thing we have. “Healing Music” was the first piece on piano I considered worthy of recording. Well, not “worthy,” that sounds ridiculously self-critical. [Laughs] It was just a title I came up with. AD: I rarely hear someone say “I love my own music.” People often try to feign some distance from what they’ve created. Joanna Brouk: I get that, too. This sounds so, for lack of a better term, “new agey,” but the music was just coming through me. I didn’t take any credit. It was embarrassing for me to say I was a composer in the beginning, because I just sat down and listened and would start to play what I heard. AD: Can you describe your relationship with the geometric shapes in your art? Joanna Brouk: When I started, I didn’t know how to compose the music I heard. There came a point where music was so intoxicating to me that I started to love to hear it all the time and I began to shut out everyone else…my focus turned toward celestial music, the music of the spheres, all these drones and hums and bees and the wind. I was so into that I started to lose everything else. I don’t think that was healthy. Someone once said I looked like I would go deaf if I continued how I was going. That’s about the time I started to meditate, and that’s when I actually stopped hearing music for a while. I went on a long meditation course, for about three months and it was great. I could be quiet and love silence. Maybe two months in, I started hearing music again and I didn’t know how to write it down. I didn’t have a synthesizer or access to anything [but] I started seeing it in shapes. I had butcher paper in my room and I started drawing it on the walls: circles, arches. That’s how I “scored” my music…There’s an instrument called an oscilloscope, which allows you to see sound waves, so I knew music had these various [corresponding] shapes…one circle would become another circle and the pattern would come out of one and grow bigger. I actually had an art show once featuring my shapes. A lot of them were arches, which is where cathedral concepts came from. It’s very musical. It’s all related somewhere. AD: Though you haven’t recorded in recent years, you’ve remained active as a writer, writing fiction, journalism, plays, and poetry. Do you feel like that comes from a similar place as the music? Joanna Brouk: Not as much. I had to make a living doing something, so I chose writing. I did a lot of technical work and internet writing, following the who/what/ when/where/how formula. It became a very different skill set. But I’ve noticed lately, listening to my album while I write, that it really helps get me into some sort of groove. The writers who write like my music sounds are people Walt Whitman or something. Every so often I’ll come across a phrase from someone and it’ll really resonate something for me, but my writing is much more of a narrative and more literal. AD: You hosted a radio program on KPFA. What was your format like? Joanna Brouk: Charles Amirkhanian interviewed me and had a nice response to the show, so he said, “You’re really onto something here. Would you do a regular show?” I think he gave me the midnight slot every two weeks. I said sure but I was terrified. [Laughs] I played Alice Coltrane, Miles Davis, Terry Riley…people who were doing that kind of music. I’d intersperse with with an Indian raga or Debussy. I’d play classical, jazz. I grew up in St. Louis, so part of me has always loved the blues — so that was my show. Then, I moved up through the ranks. I worked for the drama and literature department. I started to do interviews and produce my own shows on various topics. I was really fascinated with women’s issues: I did a show on Hildegard of Bingen, a composer of really beautiful music in the 1400s; I did a show called Mozart’s Sisters; I did a series on the Great Goddess, and women in history. I went down that path. Through a series of events I became program director. My responsibilities included running the annual marathon. I played a tape of my music and said “If you contribute to the station, I’ll send you a cassette for free.” The phones lit up. I was stunned. The general manager was stunned. It was just this phenomenal response. It amazes me, even to this day, because this is not mainstream music — it just resonated with people and they called in. So all the sudden I had to fill 500 orders. I had to mass produce. So Pacifica, the company which ran KPFA, agreed to put out the tapes. But the quality, not to their fault, was really bad. I said, “God, I can’t send this.” People were going, “Where’s my cassette?” So I went back to the drawing board and upped my game in terms of production. I worked in studios to put a good master together and learn the engineering aspect of it. That led to my business, my production studio and company. For years after, I worked with NPR and KPFA as a producer…it was more fun that you could ever have. Radio is the best. I liked being heard, but I didn’t like being seen, so it fit my persona perfectly. AD: People’s response to the music, all those people calling in over the phone, must have felt wonderful. Joanna Brouk: It blew me away. It was pretty blissful. AD: And now people are discovering it again through Hearing Music. Thank you so much for this interview. I’m listening to Hearing Music right now for the first time and it is resonating deep inside me, as are the words of Joanna – I feel like I’ve found a kindred spirit. AND now I will be regularly reading your blog.